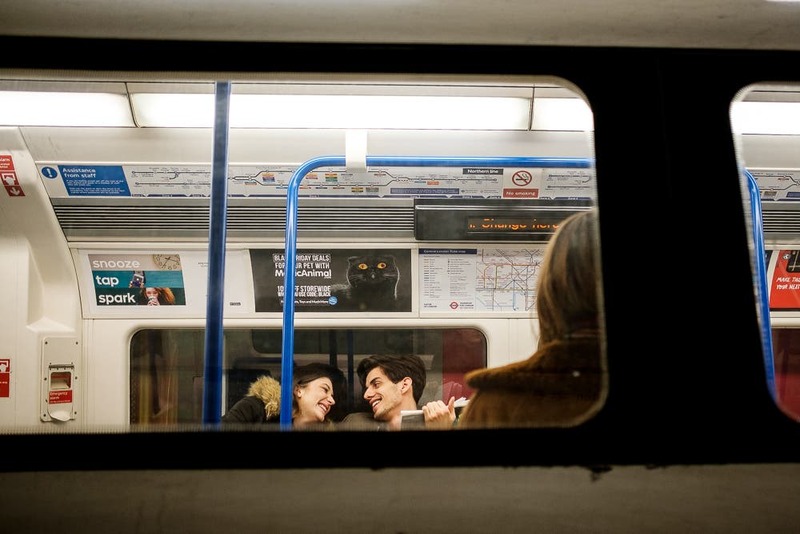 All images by Maria Svarbova. Used under a Creative Commons licence. 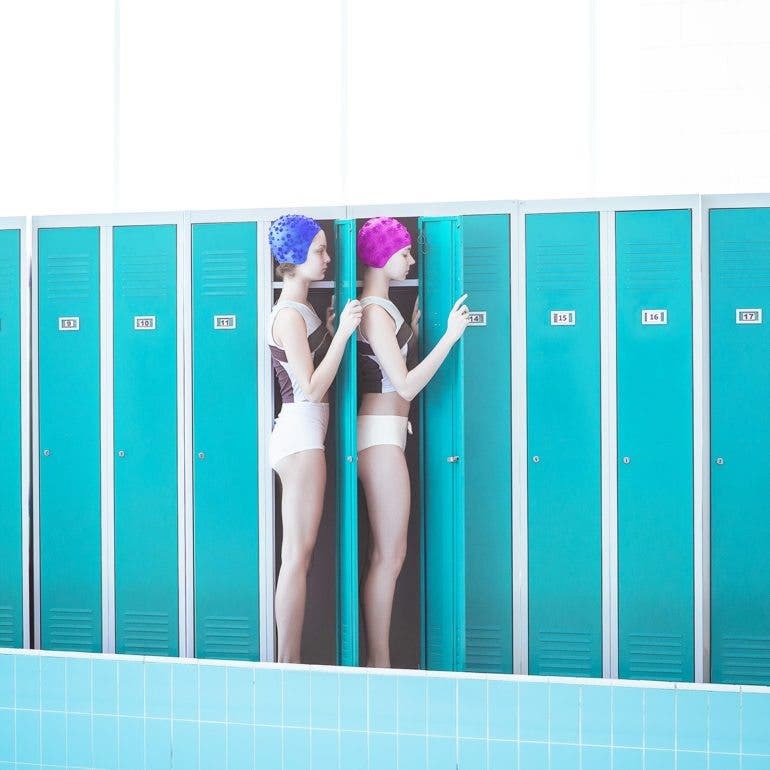 To create visually interesting conceptual photographs, several subjects can be combined to form interactions between different elements within a frame. 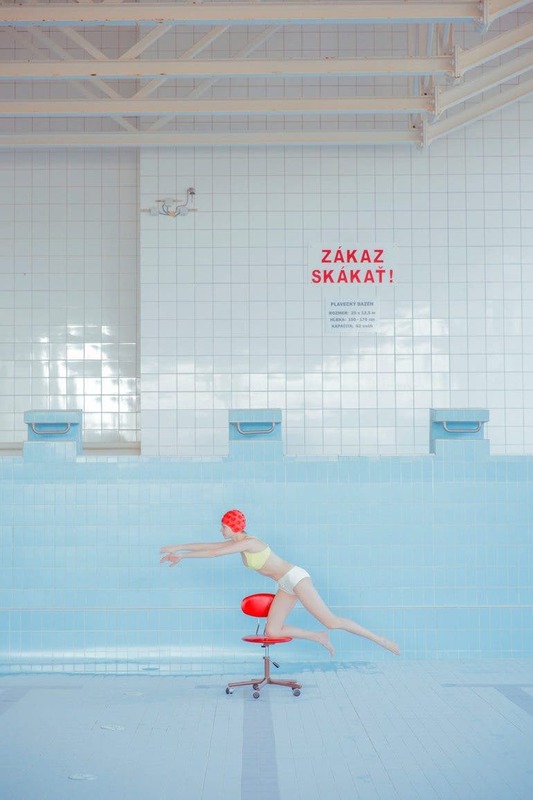 Maria Svarbova chose to do the opposite by removing a crucial, usual element from a common location: a pool without water. 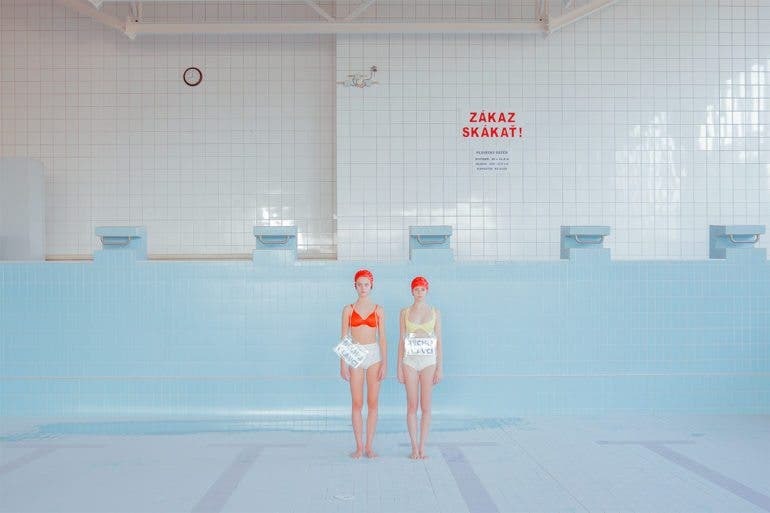 Simply titled “Pool Without Water”, this photo series feature two young ladies clad in swimwear in and around a swimming pool which was drained and completely dry. The two ladies were posed to swim without any presence of water, which was aided with chairs to prop their bodies mid air, as if floating on a non-existent water body. 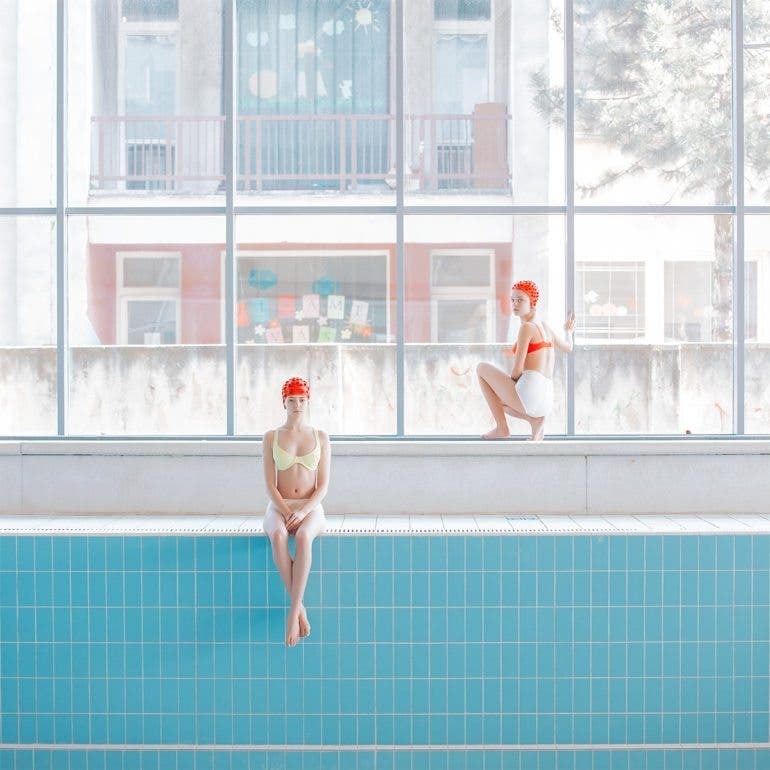 The most interesting element in these images was the expression and body language the two models convincingly presented: they were actually swimming in a waterless pool. 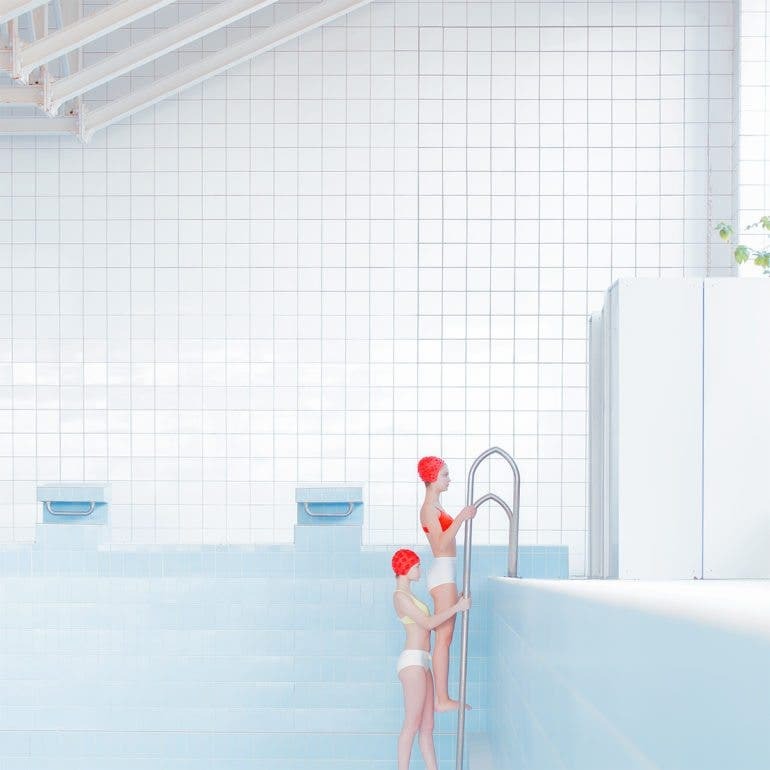 The creative play of natural light was effective in enhancing the blue-ish pool atmosphere. Maria was particular in using clean, plain backgrounds in all her compositions, and she incorporated repetitive lines and careful, geometrical shape positioning to frame the two ladies in her images. 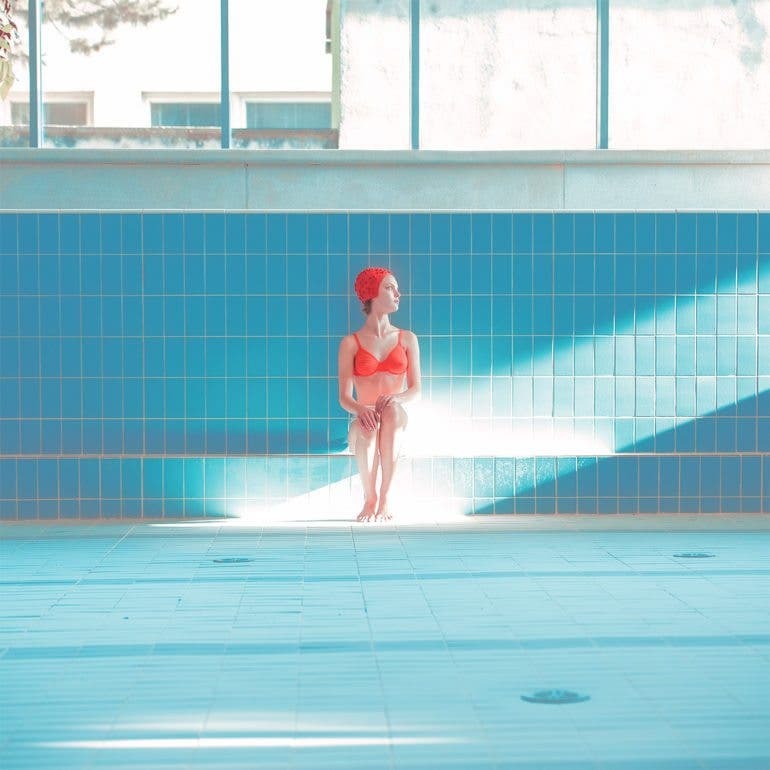 The choice of color accents on the swimwear and hair cap being bright red was no coincidence, which stood out boldly from the cold, blue, and white background of the dry pool. Perhaps the central theme of the images played around the power of imagination and determination that can defy the limitations of physics and reality. Reality is something we can create. Even if there was no water, who is to say we cannot still enjoy a swim? 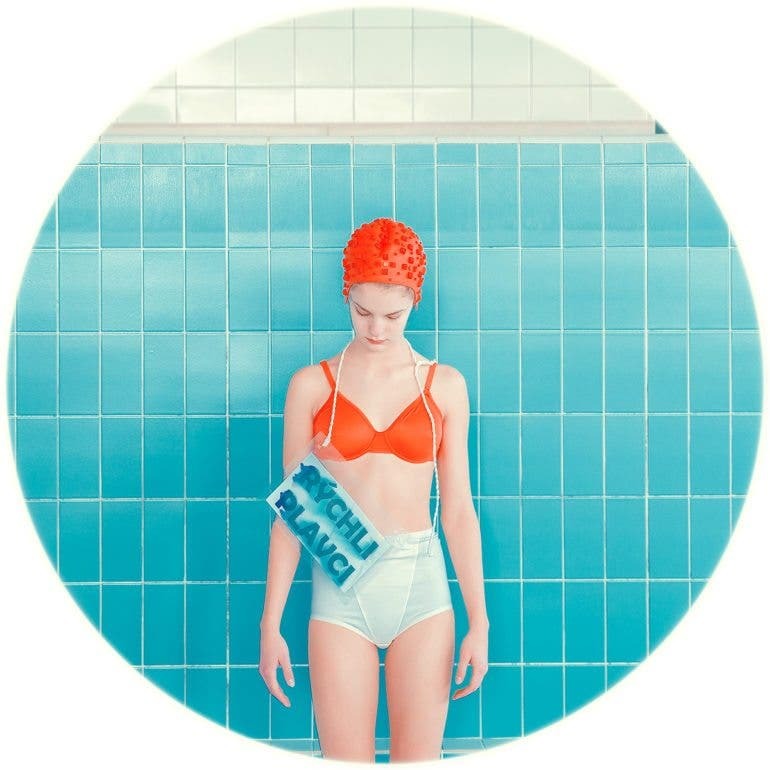 You may find out more of Maria Svarbova’s conceptual photography work at her own website here.